Oscar Robertson's spectacular collegiate playing career ended with three national scoring titles and his Cincinnati Bearcats reeling off an impressive 79-9 record during his tenure. 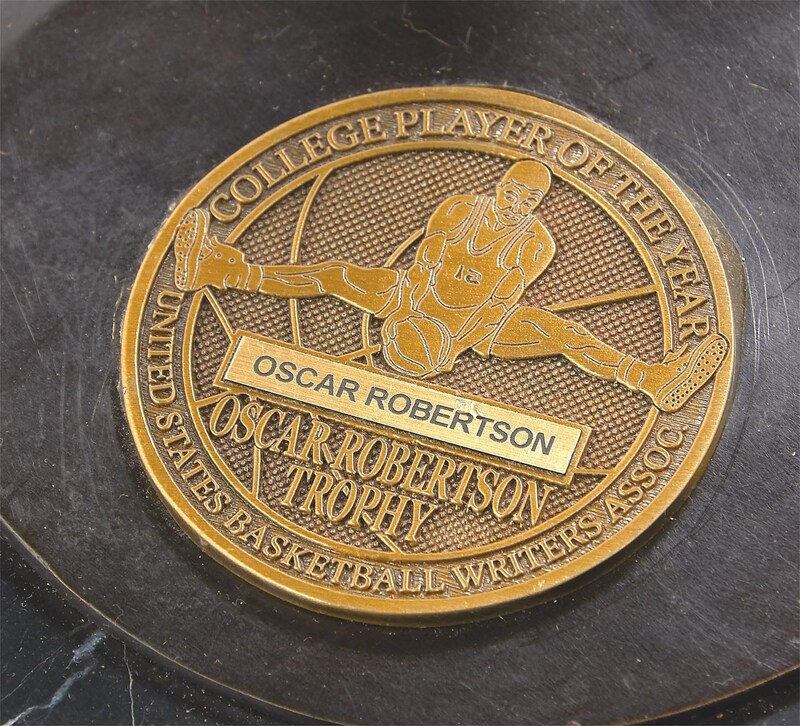 A hugely important offering, this is the trophy that was presented to Robertson and is now awarded to the NCAA Division I Player of the Year, renamed in his honor in 1998. 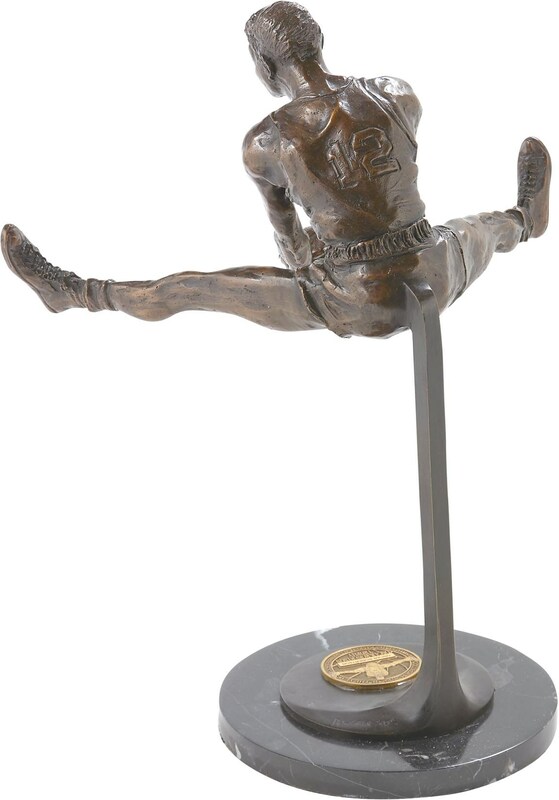 College basketball's equivalent of football's Heisman Trophy, this intricate bronze of Oscar in famous split leg pose is done by world renowned artist, Harry Weber; signed by Weber at the base with the notation of '05 for 2005, the year he created it. 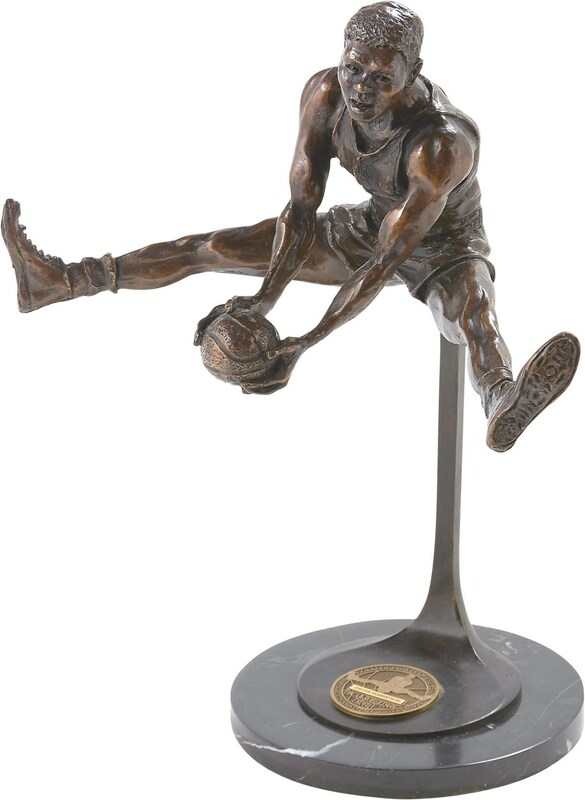 It has a round marble base at bottom measuring 9" in diameter, and a gold medallion set on the base reads, "College Player of the Year, United States Basketball Writers Assoc." around the perimeter. In the center is "OSCAR ROBERTSON TROPHY" and engraved where the name of the winner goes is "OSCAR ROBERTSON." This is simply an incredible award and tremendously prestigious, the first we have ever offered, it is the best, NM condition.